Metro Manila has experienced low temperature levels in the past few weeks that one would not feel the need to go to Baguio for a cool and relaxing weekend. But there are some treats from Baguio that we got to enjoy in the cold Metro weather. Mountain Maid Ube and Strawberry Jam from Good Shepherd and Peanut Brittle are some of the constant treats that we often get. 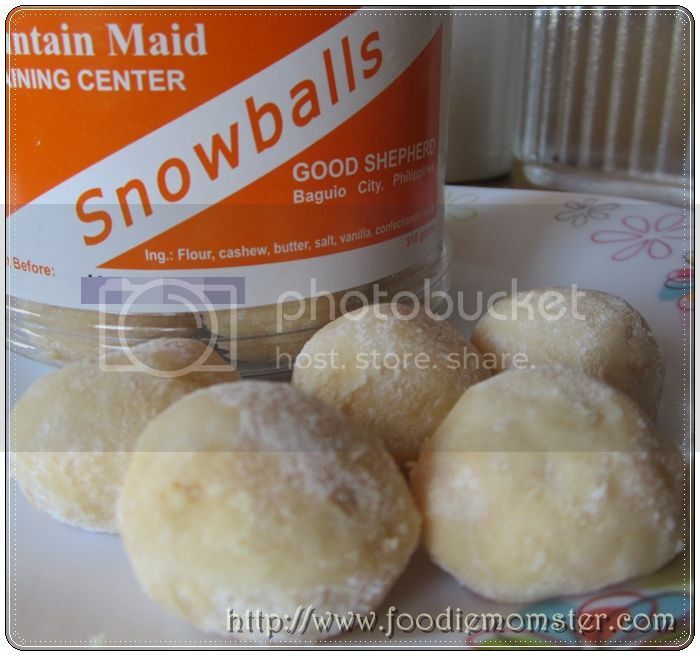 One recent item in our Baguio care package is a jar of Mountain Maid Snowballs . 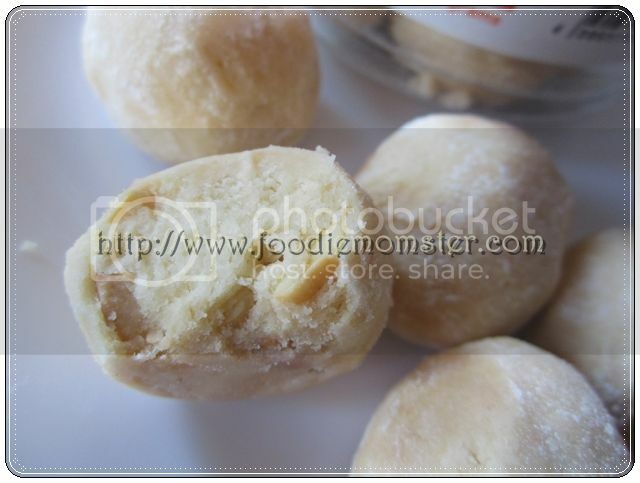 The Mountain Maid Snowballs from Good Shepherd Convent in Baguio are ball shaped vanilla cookies with cashews inside. They are dusted with confectioner’s sugar for a snowball effect and added flavor as well. I was hesitant to try them out at first because they looked hard and not so appetizing. It turns out that these plain looking goodies can be quite addicting once you start munching on them. The cookies aren’t hard at all and it can even be enjoyed by those who have sensitive teeth. I also love the crunchy cashews inside along with the subtle vanilla flavor of the cookies. They tasted like old fashioned cookies made with all natural ingredients. I like to eat them with tea or coffee and sometimes with a hot chocolate drink. Come summer season, I will be pairing these Mountain Maid Snowballs with iced cold drinks and shakes. Hi Marianne one jar of snowballs from Good Shepherd is about Php190 this was a year ago, I am not sure if they increased their rate already.